Via their official blog YouTube announced the launch of YouTube Trends Map. It is simple map that will show the most trending videos in different locations. 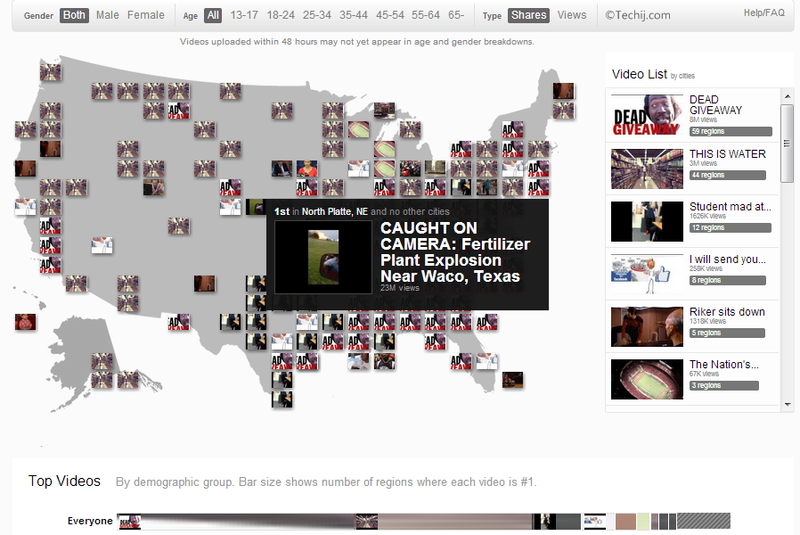 You can categorize or filter popular videos on regional interests, age, gender, share and views. It is likely Google trends. Currently Trends map is in experimental mode and will only show data of United States. But soon in updates it will also being to show data from other countries including; United Kingdom, Russia, Japan, Canada, Australia, India, etc. As you can clearly see in above picture that map is showing the thumbnails of most popular videos in different cities. Clicking on any one will open a small sub-window containing the video, with an option to watch video in full. And in right sidebar trending videos are listed by cities.